472 p., 15,8 x 20,8 cm. 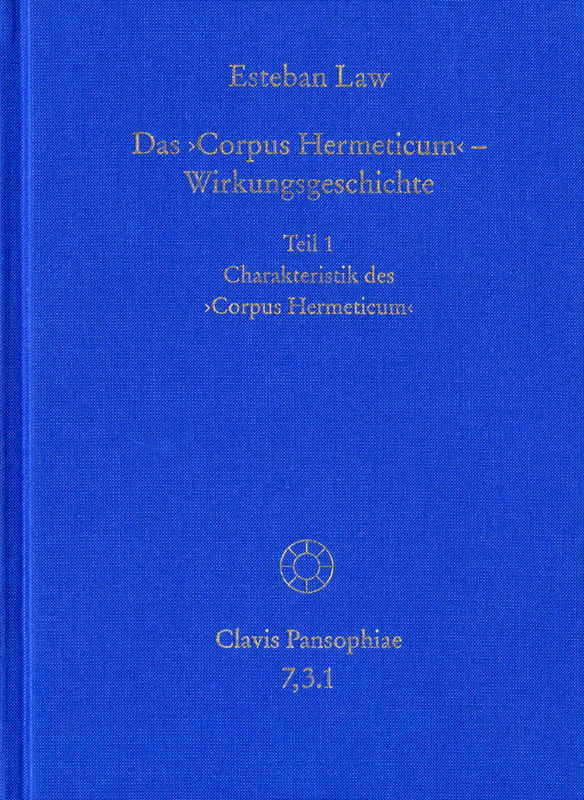 Through the presentation of a methodologically grounded ›Charakteristik des Corpus Hermeticum‹, which takes into consideration the history of Hermetic knowledge, form and content, the present volume lays the foundation for the extensive and systematic study in volumes II to V, on the history of the impact of the philosophical Hermetica in the western tradition. To this purpose, the author traces the historical and formal fundamentals, and then in a second step, determines the characteristics of the philosophical Hermetic thought, which come to represent the doctrine of the Corpus Hermeticum.